Search results for "Project Free TV"
A radical proposal from the Channel 6 group is gaining strength, as the company intends to change the face of localised TV with their plans for UK provider Freeview. While the likes of BBC and ITV are struggling with plans for local TV, the Channel 6 scheme is proposing that if it was to be awarded a spot on the Freeview EPG, it be able to ‘support up to 200 completely independent local TV stations’ around the British Isles. While local governments had been dismissive recently of renewed efforts towards regional TV, Channel 6 intend to use airspace freed up by Ofcom in order to support a maximum of 200 ‘local TV stations’, a move proposed to made in partnership with 39 ‘locally-owned network affiliates’. Such a move would see Channel 6 be a form of ‘hybrid’ network, by allowing channels to be funded directly as a lower-cost subsidary of Channel 6, or produce their own revenue through advertising sales as an independant ‘affiliate’ channel. Channel 6’s CEO Richard Horwood, stated that if the new local TV proposals were to go ahead, it would allow the culture secretary (who was at the forefront of downplaying the plans) to ‘have his cake and eat it too’. 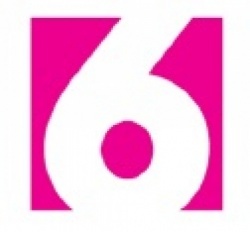 Meanwhile, Channel 6 have announced the first current broadcaster to get on board with the service as a network affiliate, with the long-running Channel 7 in Grimsby (England) joining the project. Sky TV the dominant pay per view satellite TV company are being accused of trying to block free digital TV in the UK. 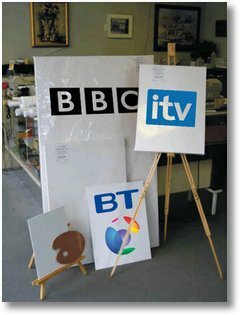 The company have been told in no uncertain terms by British Telecom (BT) to stop trying to stifle its next gen free didgital TV ‘Project Canvas’. adio from a settop box and will be a free of charge service. Services expected from the new TV project include catch up tv and on demand viewing, web content and interactive television too. The proposal has been hailed as “potentially the Holy Grail of future public service broadcasting provision in the UK” by the BBC’s director general, Mark Thompson. However, Sky has put their oar in by calling for an Office of Fair Trading investigation and has said they will vigorously contest any moves to establish a digital terrestrial free TV venture that cuts across its satellite service. Dan Marks, chief executive of BT Vision who is fronting the Canvas project said:- “We intend to make the most strenuous remonstrations with the regulator about any attempts by Sky to block what represents an open and competitive delivery of an exciting and important new era of rich digital free TV for all of Britain’s consumers,”. Dan was employed by BT in 2006 to set up BT vision and is a former Hollywood-based Academy Award and Sundance Film Festival winning documentary filmmaker. Marks also commented that whilst Sky “is a very big company” it has, to date, attracted significantly less than half of the UK’s 24 million TV households, with the bulk of the rest plumping for Freeview services. He also said that he was “very confident” that the BBC Trust will approve the plan for the service. Sky like all the bloated self serving satellite and cable companies want us, the viewing public to keep paying through the nose. But the internet TV change is happening now so they better get used to it. 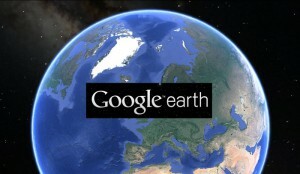 Google Earth Pro, a software program that originally used to cost $399 is now being made available to the public for free. Apparently, it has been determined that the software program’s former $400 price tag was just too far out of the reach of the average world-travelling aficionado by way of their work office chair. Therefore, everyone and anyone can now use the Google Earth Pro edition features that previously had only been available to those who could afford to pay the over-priced product cost. There are actually a number of theories floating around as to why the Google company all of a sudden decided to do away with the software program’s $399 price tag and offer the infamous Google Earth Pro version for free. One of these theories is that the company was just not bringing in the kind of monetary proceeds that they had expected to with the program. KIT Scientists have recently come out urging governments to rethink selling old TV frequencies to the highest bidder, and instead to turn these relics into free ‘super-wifi’ for all. 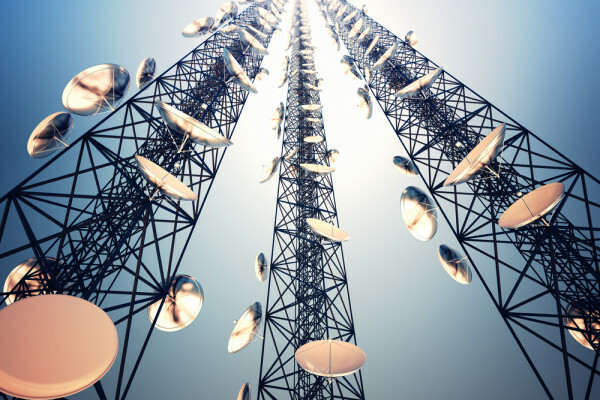 The change over from analogue to digital broadcasts has left many companies bidding for control, mainly from mobile phone networks who want to extend their mobile coverage. 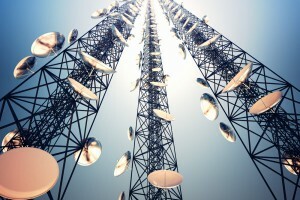 But scientists at the Karlsruhe Institute of Technology (KIT) in Germany are claiming that if governments would instead put these old transmissions to better use, it would boost economies. Transmitting wifi signals over lower frequencies would provide a far greater coverage than standard wifi, which is very limited in its reach. If the move was to go ahead and the old TV signals were used to broadcast wifi, the signal would travel a lot further than standard wifi. At the moment, wifi signals are limited in their reach, capable of only supplying a small area. The estimated area of coverage of the new wifi signals far exceed current distances, as they would be able to cover ranges of up to several kilometres. One group that would not be open to such a suggestion are the mobile phone companies. At the moment, mobile phone companies plan to increase their mobile phone coverage by rolling out 4G. But if free wifi was available throughout cities and towns then no one would have any need for mobile internet. Currently, 3G and 4G technology is very expensive for the consumer and leaves users no other choice but to pay the premiums for internet coverage on the go. The latest in a long line of BBC projects undertaken, the public broadcaster, with the history, funds, and freedom to do a little more than their commercial competitors (rightly or wrongly), have launched the ‘Genome Project‘, which aims to archive every single TV and radio broadcast that has ever been made in the UK under the BBC banner. Whilst that is a huge ask considering the BBC’s legacy (with even their best known shows being sacrificed or going missing before an improvement in archiving a few decades ago), the venture aims to go from 1923 onwards with support of the online community in the ‘curation and chronicling’ of every BBC broadcast… ever. Currently on the official website, while without much content-wise, have put up ‘digital editions’ of each issue of the Radio Times magazine that has been published between 1923-2009, meaning that aside from late schedule changes, users can see what was on and when at various points in modern history. Aiming to have a Wikipedia-style operation in which suggestions and changes can be made by its readers, the BBC have opened up the project to users with ‘Genome’ keeping moderation on the contributions, whilst official audio/video clips are to be added in relevant places over time by the broadcaster and by public users, as they aim to find what was previously lost where possible. 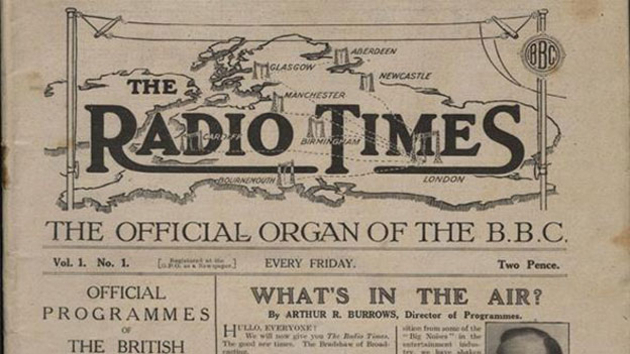 “Genome – the BBC project to digitise the Radio Times magazines between 1923 and 2009 is now live. On the site you can find BBC broadcast information – ‘listings’ – extracted from those editions. You can also search individual programme titles, contributors and synopsis information. Our aim on this project is to curate a comprehensive history of every radio and TV programme ever broadcast by the corporation, and make that available to the public. Our first step has been this digitisation of the BBC radio and TV programme schedules from the Radio Times magazine; the next phase of the project is to incorporate what was actually broadcast, as well as the regional and national variations. It’s one of the most important steps we’re taking to begin unlocking the BBC’s archive, as Genome is the closest we currently have to a comprehensive broadcast history of the BBC. We’re really pleased to get the site live, not least because so many of you have been asking “when”, “how soon” and telling us “how useful it would be”. The challenges in making available the 4.42 million programme records so far have been significant – you can read about some of the recent ones on the Internet blog. We need your help too though. We’re looking to you to help us to clean up the data. The scanning process – known as ‘Optical Character Recognition’ – has produced plenty of errors: punctuation in the wrong places, spaces where there shouldn’t be any or no spaces where there should, as well as fundamental misunderstandings about who did what. We’ve made it possible for you to submit an edit to us, as you use the site. We’ll validate your suggested changes and publish the ones which are approved. We’ve also included a ‘Tell Us More’ form, at the bottom of each programme listing, so we can tap into the collective memory, insight and knowledge of our users, making use of the wealth of experience out there about our programmes, something we’d like to capture. We also know that the schedule changed considerably on occasion, because of events in the real world and we need that information too. Additionally, during the process of building Genome, we’ve identified a few ‘chunks’ of data that are missing from the database, but due to the way in which OCR works, didn’t get picked up in the original scans. So, we will be adding this in. 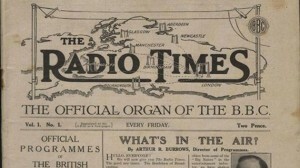 The Radio Times has been published with regional variations since 1926. The magazines we scanned and the data sets which have been included in Genome are not exhaustive, rather they represent the ones which we could access and which covered the greatest areas and variations. In the future, we will look into the implications of attempting provide a more complete set of regional data. We won’t be able to reflect what you send us straight away, but as we build on BBC’s Genome, it will come in to its own. Now that we have published the planned broadcast schedule, our next step is to match the records in our archive catalogue (the programmes that we have a copy of in our physical archives) with the Genome programme listings. This helps us identify what proportion of the broadcasts exist in a potentially ‘playable’ form, and highlights the gaps in our archive. It is highly likely that somewhere out there, in lofts, sheds and basements across the world, many of these ‘missing’ programmes will have been recorded and kept by generations of TV and radio fans. So we’re hoping to use Genome as a way of bringing copies of those lost programmes back in to the BBC archives too. But, even if we don’t have an actual copy of the programme, we’ll also look to publish related items in our archives, such as scripts, photographs and associated paper-work. We’re looking in to the logistics of making some of these items available via Genome. Clearly, this will in some cases be a long and painstaking task. The BBC’s various archives contain millions of items spread over 23 archive centres across the UK, most of them in analogue form. It’s a big job, one we’re looking forward to reporting back on in the future. A unique venture that will be unmatched around the world at least in sheer scale, will the BBC’s comprehensive content wiki be seen as another passing fancy by its critics, or will the Genome Project be able to put every piece of the broadcaster’s history (presumably with a 5-year buffer for new items) together in an intriguing and well-presented manner? In a turnaround that shows the growing power of the internet as a medium for TV watching, online media portal Rabbit TV have revealed that they are prepared to not only match, but beat the fees paid for retransmission of shows from TV broadcasters such as NBC, CBS, ABC and FOX, to then stream on the Web. FreeCast Inc, who own Rabbit TV have revealed they would offer TV broadcasters the same $5 per-subscriber per-month retransmission fee which is the same as they cable companies pay. Rabbit TV would then redistribute the networks’ live channels to its own subscribers via the internet. But they also say they will pay more as they plan to offer an agnostic platform for the networks to distribute their content, which will bring in more revenue. The Rabbit TV service links to and aggregates thousands of freely available streaming titles, and also sells live TV packages such as MLB.TV, NBA League Pass, pay-per-view movies, and more. The company plan to offer broadcasters a fee, unlike rival Aereo who thought they could get around that hurdle by taking on the broadcasters, and lost. But the case has led to online providers thinking they can become an online cable provider after the court compared Aereo to a cable system. Aereo have already applied to seek compulsory licenses to become a local cable provider. Rabbit say that that premium channels like HBO, ESPN and the four major networks are the next most important puzzle pieces for creating a true online TV experience for billions of device-enabled consumers.